Since several years, Meccanica H7 has the privilege to work with a leading manufacturer of ceramic machinery used in building industry. 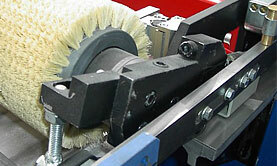 Grinding mills — grinding mills for kaolin and carbonate. 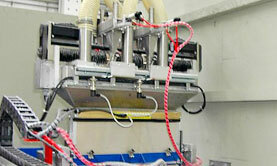 Dosing Systems — powders dosing systems, tiles forming molds, preparation plant for powders on the mold. 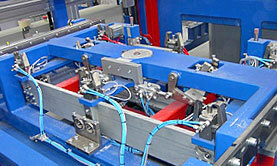 Pressing systems — handling systems of molds to the press.